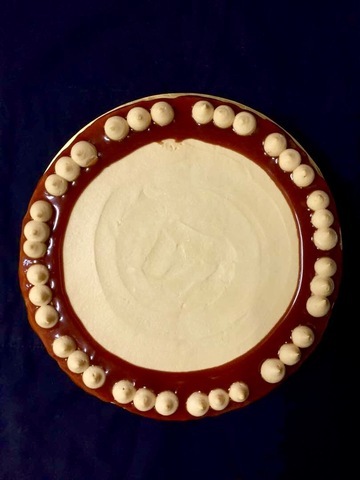 A little bit of east and a little bit of west...this cottony Japanese cheesecake is popular with cake lovers who want a light cheesecake...with creamy whipped Salted Caramel cream cheese accented with a little salty sweetness from our housemade Salted Caramel! 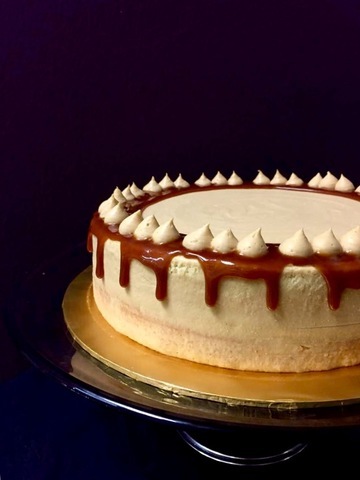 The cake should be kept in an airtight container in the chiller. 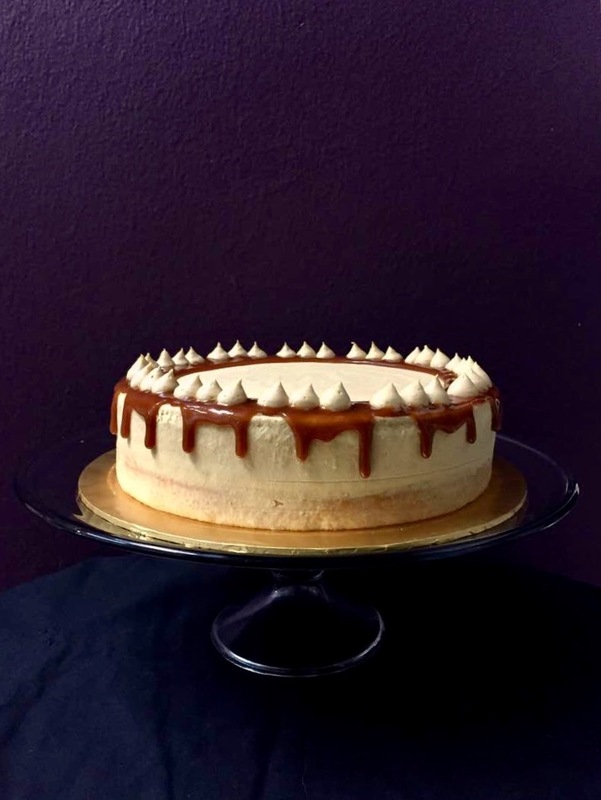 Please note the Salted Caramel is hand drizzled and will melt and drip onto the sides of the cake and cake board at warmer temperatures.